"When I was about 14 years old, I had an epiphany," writes Def Leppard guitarist Phil Collen. "I remember seeing David Bowie and the Spiders from Mars on Top of the Pops. They were playing this type of music that just spoke to me. … Then there was the amazing look and playing of his guitarist, Mick Ronson, which totally hooked me." 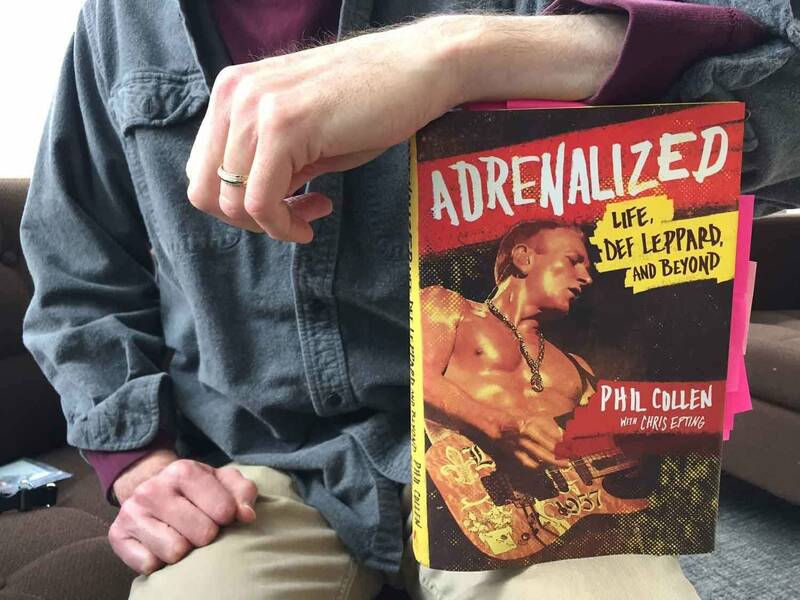 Collen shares this moment in his book, Adrenalized: Life, Def Leppard and Beyond. In his autobiography written with Chris Epting, Collen provides a conversational retrospective of his life and career. The epiphany described above is just one in a series of revelations that Collen recounts. In fact, Adrenalized features a string of epiphanies that have shaped Collen, not only as an artist and musician, but as a human being. Founded in Sheffield, England, in 1977, Def Leppard emerged from the confluence of glam rock and punk rock (Londoner Collen joined the band in 1982). As Collen explains, producer Robert John "Mutt" Lange envisaged Def Leppard as a cross between AC/DC and Queen. Still active to this day, Def Leppard have sold more than 100 million records worldwide and have two albums  1983's Pyromania and 1987's Hysteria  with RIAA Diamond certification, given to albums with sales exceeding 10 million. While Collen's career as a guitarist with hitmakers Def Leppard has certainly secured his spot in the annals of music history, it's his lifestyle  alcohol-free, drug-free, meat-free and fitness-focused  that makes him stand out in a field that's notorious, deservedly or not, for its chemical excesses. In the course of his autobiography, Collen details the moments that led him to choose his abstemious and healthy lifestyle. Collen's decisions were not born of a high-and-mighty attitude, but rather from experience, reflecting William Blake's proverb in The Marriage of Heaven and Hell, "The road of excess leads to the palace of wisdom." As such, it was Collen's earlier experiments with drugs and drink  later bolstered by the drug-related death of his bandmate and close friend, Steve Clark  that inspired and reinforced Collen's lifestyle choices. In this way, Collen's book shares similarities with Mike Doughty's excellent autobiography, The Book of Drugs. Despite the fame and multi-selling albums, the person that emerges over the pages of Adrenalized is ultimately a humble yet confident man who never forgot his roots. 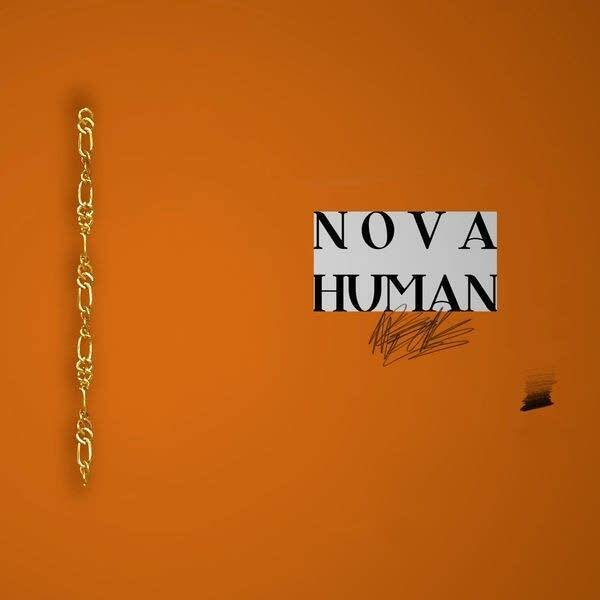 Born and raised in East London, Collen dedicates the book to his parents, about whom he writes, "Unlike what most young people may have gone through when faced with telling their parents they wanted to make music for a living, I had total support from my mum and dad. … I had total support around me. The support translated into belief." Collen details his missteps as well as his triumphs; there are even a few moments that are a bit frank and surprising  or slightly less opaquely  to paraphrase Morrissey, some passages would make Caligula blush. But there is no attempt by Collen to disown or explain away those moments; in fact, he seems rather bemused such escapades happened at all. The conversational tone of the book is both asset and liability. The tone's strength is that reading the book feels a lot like sitting across the table from Collen as he describes his life over coffee. Collen comes across as personable and friendly, a characteristic that is corroborated by the contributions from Collen's associates sprinkled throughout the book. The weakness in the book's tone is that the narrative hews a little too closely to a stream-of-consciousness monologue, leaving certain threads dangling. For example, Collen writes, "It's not the moments in my life that people would think are most noteworthy, i.e. meeting other rock stars, being on tour, attending after-show gatherings. It's the times in my life when I am blessed to share experiences with those whose lives and mental capacities have been put to the ultimate test." Unfortunately, however, Epting leaves the thought hanging rather than pressing Collen to provide a few examples to support that statement. Ultimately, Adrenalized is more than a making-of-a-rock-star narrative; it's a thoughtful and reflective story of a person growing into greater self-awareness through the years. Socrates famously wrote, "The unexamined life is not worth living." If he were to peruse Adrenalized, Socrates would not be disappointed in Phil Collen. "All of East London was very working class  Hackney, Walthamstow, Leyton and Leytonstone. Our small house and these surrounding neighborhoods became my universe as a youngster. … it was a thriving, colorful place, inhabited and enhanced by people of many cultures. We all lived alongside many immigrants from the Indian subcontinent and the Caribbean, including a huge influx of Jamaicans, who brought with them the sound of reggae, which would influence many musicians in the 1960s. As I walked home from school each day, the air was thick with the aromas of many different and wild-smelling foods. All the various kinds of pungent curries and spices, fresh ginger, and those mouthwatering, aromatic smells gave our neighborhood a rich, ethnic flavor (both figuratively and literally). "London really had a lot going for it. Later I was grateful to have come from such a great city  not just as a reference point, but also for the fact that you do take some of it with you wherever you go. It's an attitude/confidence thing." "If seeing Bowie on television was a landmark moment for me, then so was the day that [Collen's cousin] Dave [Wheeler] and I went to our first live rock concert. … We went to see Deep Purple, who in 1972 were one of my favorite bands. … It honestly left me breathless. Ritchie Blackmore stood right it front of me. It was surreal. … Actually, sitting here now thinking about that night, words can't really describe how I felt. I may have left my body. Oh my God, I thought. That's what I want to do! I want to be that guy up there!" "Apparently, when learning how to play guitar, you're supposed to learn your chords first, which I did. But I was shocked to discover that I could play lead guitar, or solos, almost immediately. And that's what I really wanted to do. … B.B. King never played chords. Like him, I wanted to be a lead guitar player straight off the bat." "[Def Leppard] were giving me a chance to join the team. I take that word, team, very seriously. I noticed right up front that there was a Def Leppard democracy in terms of how responsibilities and achievements were shared equally. This was not a band that was about egos but a band that had a working-class focus on making the best records and creating the best live performances possible." "We were a very working-class band  we just concentrated on playing our best. We never took anything for granted. And for all the drinking we did on the road, we remained amazingly disciplined when it came to playing. We actually had a rule that no matter what went on offstage, no one went onstage drunk. It simply would not happen. We were always very serious about the music part of it. We felt we owed too much to ourselves and to our fans who had forked out considerable money to see their favorite band. … the shows were sacred." "Even though Steve and I had known each other for a few years, when we lived together on tour we quickly became best friends. It wasn't just the guitar playing or extreme boozing  we both found that we were soaking up all that we could and learning more on the road than we had ever learned at school, with a healthy appetite for new and exciting cultural discoveries. We also found that we loved each other's company. We could get into deep conversations that would last for hours." "One of the greatest things Peter and Cliff did for us was make sure that if a new format of music ever came onto he market, the record label would have to get Def Leppard's permission before [it] released music on that particular format. Peter and Cliff obviously saw into the future … and that ultimately digital formats would change the music industry forever. … Many artists would be completely ripped off because they did not have the Mensch-Burnstein clause in their contract[s]. We were lucky." "In a nutshell, I'd rather feel great than not. And it's not rocket science. Keep active, eat foods that nurture rather than poison your body, and make the effort. That's all I do." "It wasn't because I wanted to be a great guitar player; it was because I wanted to get something out, like scratching an itch. There are lots of elements of guitar playing that I'm not even remotely interested in. The guitar was my choice as a tool of expression." "As my experiences multiply, the need to express myself also increases. I'm in awe of the avenues that continually present themselves that allow me to do so." The Current's Rock and Roll Book Club: John Fogerty's 'Fortunate Son' John Fogerty's new memoir 'Fortunate Son' is an informative and readable map through the long career of a great American musician. The Current's Rock and Roll Book Club: Carrie Brownstein's 'Hunger Makes Me a Modern Girl' A new memoir by Sleater-Kinney's Carrie Brownstein is a must-read, says Andrea Swensson. The Current's Rock and Roll Book Club: Morrissey's 'Autobiography' Morrissey is coming to the Fitzgerald Theater on July 13. Jim McGuinn shares his fascination with this month's pick for The Current's Rock and Roll Book Club: Morrissey's autobiography. The Current's Rock and Roll Book Club: Jon Bream's 'Dylan: Disc By Disc' This month's pick for The Current's Rock and Roll Book Club is a new collection of conversations about Bob Dylan, curated by longtime local music writer Jon Bream. The Current's Rock and Roll Book Club: Stephen Witt's 'How Music Got Free' For this month's Rock and Roll Book Club selection, Mac Wilson writes about a fascinating new history of the digital music era.